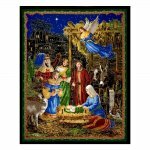 Hello out there in quilting land! Sorry September's newsletter is reaching you mid-month; we've been busy with a lot of shows. Thank you to all who came out to Grand Rapids, Madison and Paducah yet this week! We owe it to you for making them successful! We have to hand it to our friends & family in Houston. 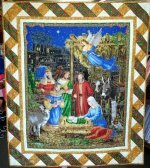 After all the trials & tribulations that they have been enduring, they are still busy preparing to host the annual Fall International Quilt Market October 28th-30th and Houstons' Quilt Festival the following week! Thank you very much for everyone's hard work! Keep checking on our progress at www.blockpartystudios.com or on our Facebook page for updates! 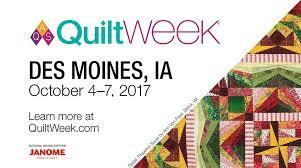 We will be in Des Moines for AQS Quilt Week, October 4th-7th. This is the VERY LAST YEAR for this show, so don't miss out! While there, stop by our booth #1015 to pick up a coupon for Block Party Studios 20% off in-store, in-stock purchase. Valid until 12/30/2017, & perfect for that holiday shopping! 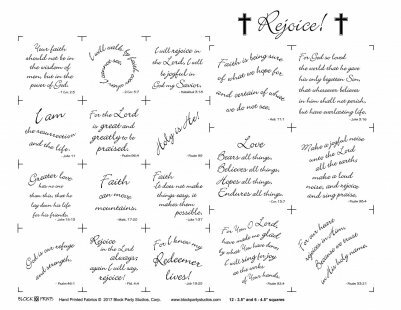 As I wrap up this newsletter, we are keeping all victims of the Hurricane/Tropical Storms in our prayers, Be strong. Keep the faith... better days await.